Features: Miniature latch clamp with high holding capacity. Large, comfortable handle grip. 1-3/16" drawing movement. 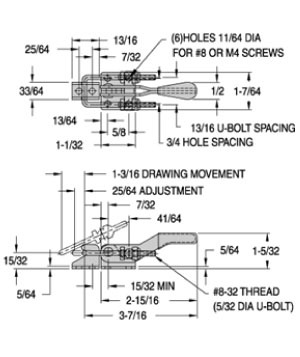 Threaded U bolt allows a 25/64" adjustment range. Supplied with matching latch plate.